Winsome Pro is one page as well as multi page parallax scrolling multi-purpose theme. It is well suited theme for business, corporate, informative, agencies, travel, design, art, personal and any other creative websites. It features multiple sections on the front page including favicon, logo, widgets, multiple navigation’s, address bar, business hours, social menus, and customizer to customize theme easily. Extract winsome-pro.zip and upload the folder. 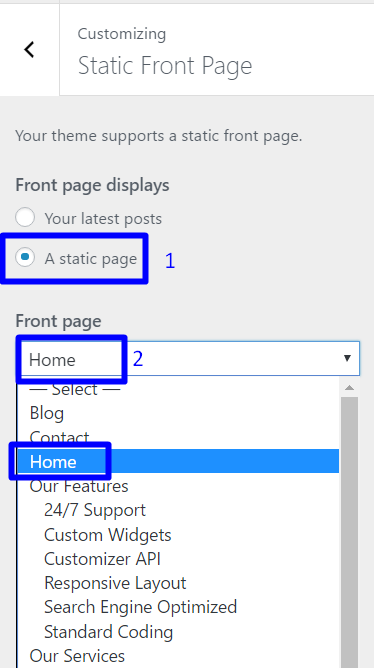 Go to Settings >> Reading, select A static page option and assign Home and Blog page like shown in image below. To create page on your site, it’s easy. Follow the below listed methods. Set the featured image for the post from right corner. Add more page like the above methods. To create post on your site, it’s easy. Follow the below listed methods. Set that post on the Category. The added category will appeared on the Add Post Page. After the recommended plugin installed, your theme will have added custom widget. Use the available custom widget to make the theme as demo. Go to Appearance > Customize > Widgets > Home Page Widget Area and Add the available widget on this section. Check the every available options for the widget. Add the above listed Widget on Home Page Widget Area or any other widget area to achieve the design as demo. Find the options for Logo, Site Title and Tagline. If preview is fine, click on save and publish to save the changes. You can easily change the background of the site. Change the color as your need. Winsome Pro comes with added features for color options. 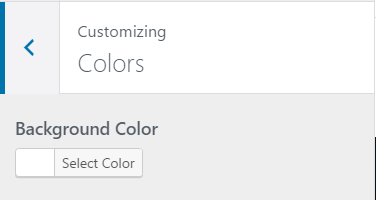 Check the options available on Appearance > Customize > Advance Color Options to get the available options for color section. General color section help you to change the whole site primary color. 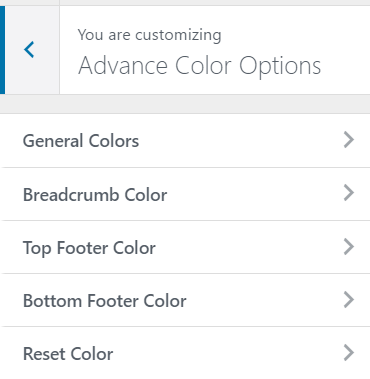 This color options is available to manage the color for breadcrumb. 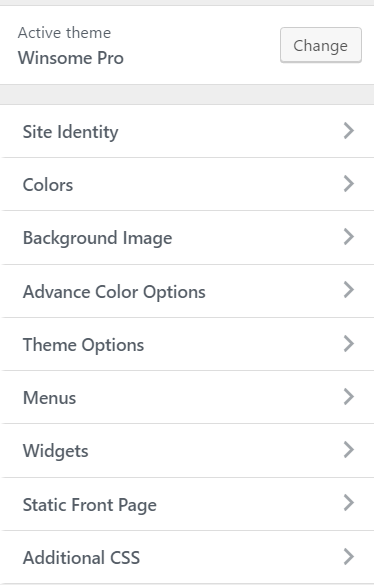 Use the available color options to manage the footer section color. Buttom Footer color options are available to manage the color for the footer section including background, text etc. Reset color options is available to reset the changed color and it will help to set the default colors. Refresh your site to reset the color. Note: This will replace all colors with default color of the theme. Please reload page to see changes. You can easily change the background image of the site. 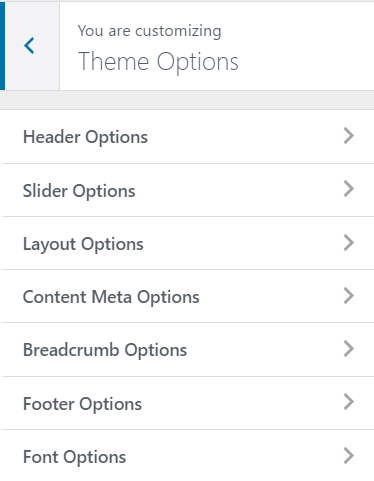 This section includes Header Options, Slider Options, Layout Options, Footer Options, Breadcrumb Options etc. Check all the available options on this section. If preview is fine, click on save & publish to save the changes. You can select page, button text & button link on the every slides. Manage the length of descriptions for the slide as well. This section includes Left Sidebar, Right Sidebar & No Sidebar. You can manage Full Excerpt and Post Excerpt. This section help you to hide the meta items on the theme including categories, author, date, tags and comments. Checked to show and unchecked to hide the meta. You have options to write your own powered by text or you can remove the text to hide that section. From this section you can easily change the available fonts for your site. Body Fonts, site identity font(Title and Tagline), Menu font, Heading font, paragraph font. You have options to rest the font as well. Note: Reset Fonts will replace all fonts with default font of the theme. Please reload page to see changes. This menu will appeared on Main menu for the site below the logo section. Set the menu on the Primary Menu. 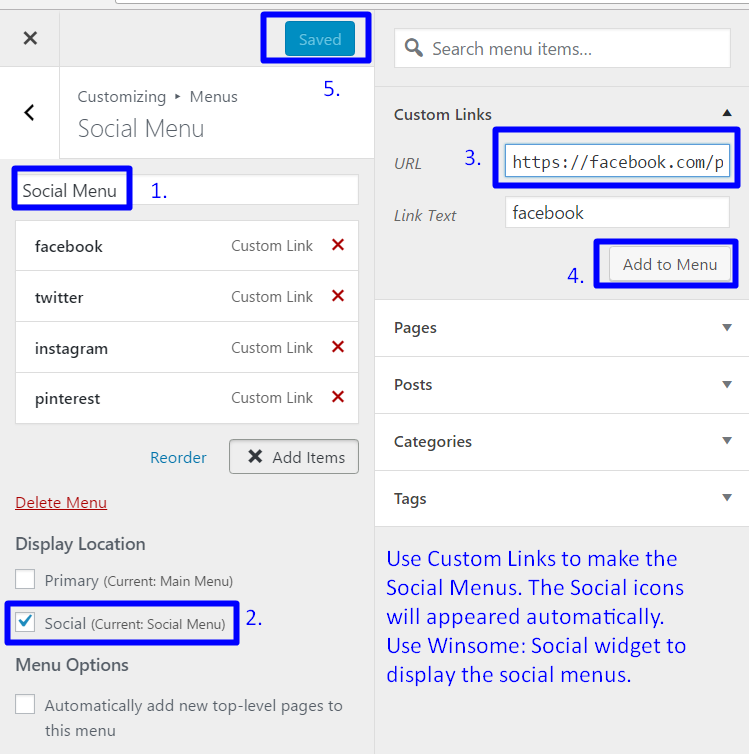 Social Menu can show with the help of Winsome: Social Widgets. Select the widgets or items to be kept on the side bar like Search, Pages, Recent Posts, Recent Comments, Categories, Archives, Text, Calendar, etc. SAVE AND PUBLISH the sidebar items. You can add the available widget on this section to make the home page as demo. You can select the different widgets for different footer. SAVE AND PUBLISH the widgets selected to be kept on footer area. Inside Widgets, you can see the footer options. There are for footer options i.e. footer1, footer2, footer3, footer4. 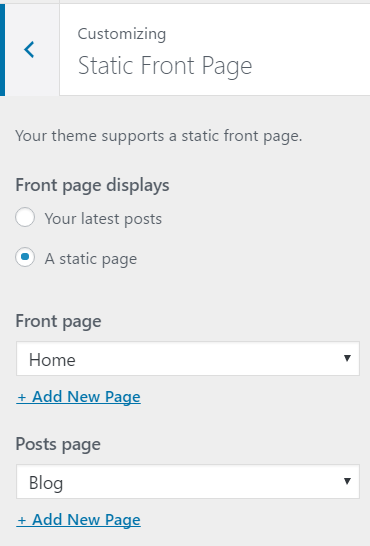 See the available options for the front page displays. SAVE AND PUBLISH the option selected. Add this available widgets on widget area to make the awesome sites. Go to Appearance > Customize > Widget and add the widget on required widget area. This widget is use for contact section on home page. This widget includes, Section Id, Title, CF7 Shortcode Field, Contact Page Descriptions Select Options & background as well. This Widget have Background image options to add the background image for that section. Section ID: This section is used to make the site One Page. You can see how to make one page site below. Title: Title for the contact section. CF7 Shortcode: We recommend you to use Contact Form 7 shortcode to make the contact form like demo. Contact Page: You can select the page with the contact descriptions. 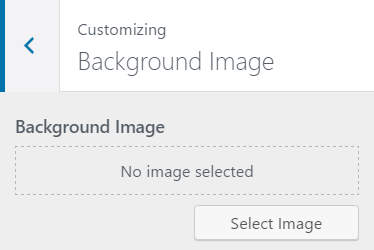 Background Image: Select the background image to make that section far better. With the help of this widget, you can maintain the home page section with title, content, button and link. Section ID: This section is used to make the site One Page. CTA Page: Select the page to show the information for Call to Action. Button Text: Add your own text for the CTA button. Button URL: Your own url goes there. This widget help to make the facts section on home page like demo. Your counter will appear on the home page. Set the values from the widget options. Icon One: Name of the font awesome icons. Find More fonts Name Here. Count One: Add the value, the counter will stop there. Text One: Name name of the first counter. Follow the same steps above for other icons as well. It helps to show the features on your site. Use the available options on the widget to display the features. Featured Image: This Image will appear to the left side of features listing. Page 1: Select the Page for the Features one and set other pages similarly on other options. 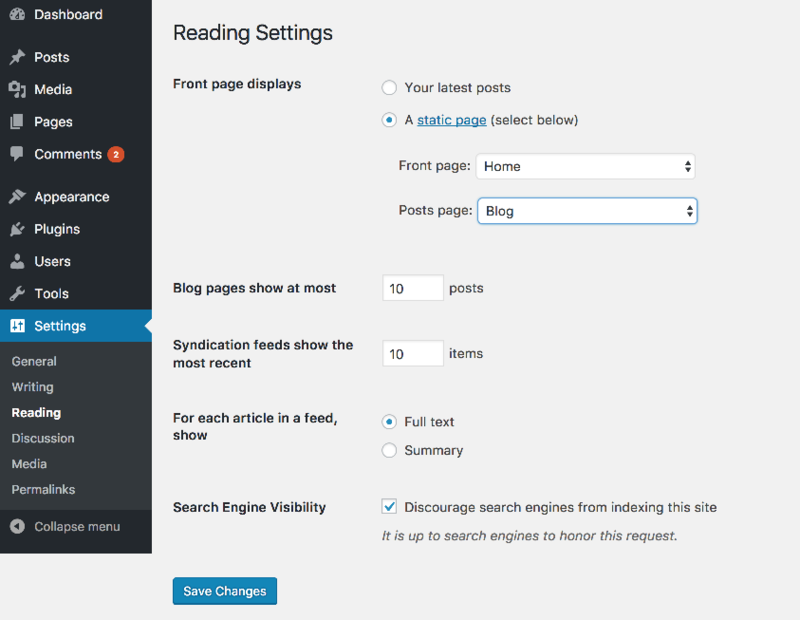 This widget is useful to create Blog section on home page. Select Category: Select the category to display the latest news on the Home page. Number of Posts: You can set the number of post to show on that section. Number of Columns: Select the number of columns to show on that section. Select the page for the services with the help of this widget. You have Pages on Admin Dashboard. Create pages for services and select the page for the services. Use the above method for other pages and icons as well. This widget is useful to create social links on the widget area. Set the social menus, that menu will appeared with the help of this widget. 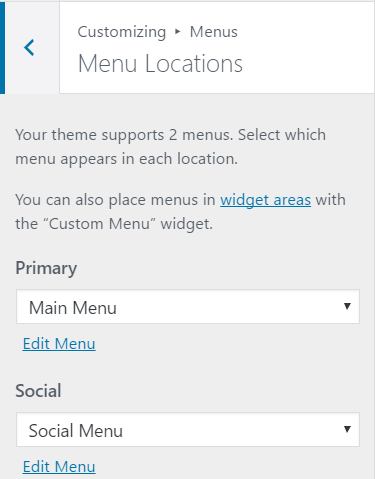 In the above section, we already discussed about how to create social menu. Winsome Team widget it helpful to create team section on Home Page. The Content you created on Post will displayed by this widget. Add this widget on Front Page widget area to make the team section on home page. Select Category: Select the post category to display the team on the Home page. Winsome Team widget it helpful to create Testimonials section on Home Page. The Content you created on Post will displayed by this widget. Add this widget on Front Page widget area to make the Testimonials section on home page. Background Image: Select the background image to show on that section. Winsome Team widget it helpful to create portfolio section on Home Page. The Content you created on Post will displayed by this widget. Add this widget on Front Page widget area to make the portfolio section on home page. Winsome is ready for one page and multipage. You need to use section id of the individual widget and menus options to make one page site. Click on one of the available widget on that widget area. In the widget you will get “Section ID”. And click on Save to save the setting. Click on Custom Link menu items. You need custom menu to make one page menu. In the URL field, please enter the Section ID(#section-services). Don’t forget to enter ‘#’ before the section name. Section name must match with the widget Section ID. Add the menu items on the menu. Click on ‘Save’ to save the menu. Hope by following the above steps, you can make the one page site. Add the available widgets on this area. Use the available options for the widgets and customize the home page as your need. Hope, this will help to make the home page as demo. If you have any further query, use theme official support forum.